Depending on the layout of your home or business, you may not have the option of installing a traditional HVAC system, which could be because of a lack of space or ductwork, or because of how certain rooms are laid out. Rather than suffer during the hottest of summers and the coldest of winters, you can rely on ductless heating and cooling systems to provide you with comfort no matter the season. Here’s an extensive guide that provides you with everything you need to know about going ductless. The main thing you need to know about how a mini split system works is that it shifts heat either inside of your property or outside, depending on the season. During the warmer months of the year, the heat inside your home or office is drawn into the system before being funneled outside. When temperatures are cold, the system draws heat from outside and pumps it inside so you stay toasty and warm. No matter whether heat is being pulled in or sucked out, the process is accomplished by the liquid refrigerant found in pipes suspended between the interior and exterior components. The refrigerant shifts back and forth from a liquid to a solid state as well as between condensation and evaporation. Even if you have an HVAC system in your residential or commercial property, you can still opt to install a ductless system. For instance, maybe you’re adding a room onto your property and don’t want to go through the hassle and expense of installing additional ductwork. If so, you can install a mini split system. Depending on the size of your property and your current HVAC system, you may not have the means to keep everyone comfortable. If this is the case, a ductless HVAC system keeps everyone from complaining that it’s too hot or too cold. Know that there are several pros of opting for a heating and cooling system that doesn’t require ductwork. One of the best things about these systems is that they’re so energy efficient, which means you don’t have to worry about your energy bills spiraling out of control. Another advantage is that ductless systems are quick and easy for you to install, meaning that you don’t have to wait a second longer than necessary to feel comfortable in your business or home. Know that there are ductless models that come with remote controls that allow you to operate them without getting up to adjust the thermostat like you would with a standard HVAC system. Depending on where you install the ductless system, you may have no choice but to control it with a remote. You may also like the idea of using a programmable timer to maximize usage and energy efficiency. Finally, there are also systems that come with filters that can be washed rather than thrown out and replaced, which can go a long way in saving you some money on the cost of maintenance. For all the fantastic things about these systems, they do have their share of cons that you need to be aware of. 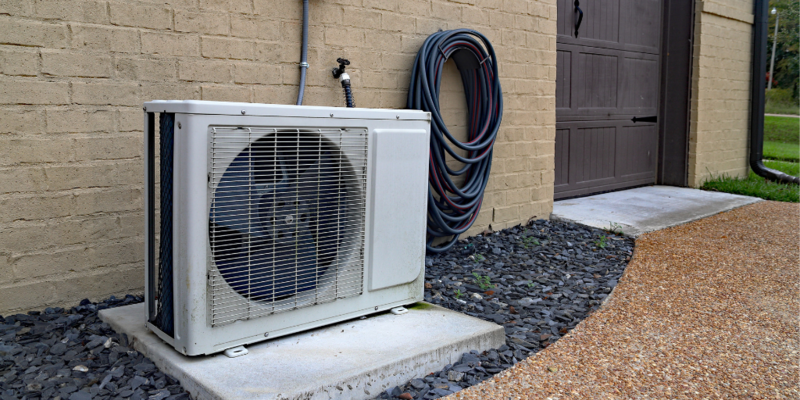 One of the biggest downfalls is that mini split units commonly have a bigger upfront cost compared to regular heat pumps and other cooling and heating systems. It’s not unusual to hear of a single-zone system with a single outdoor unit starting out at about $3,000, or a four-zone system starting out at $12,000, with both prices including the cost of installation. Another con to be aware of is the fact that there are situations in which a ductless system cannot be installed on a property. You may also be someone who doesn’t like the idea of an indoor unit being positioned on the wall or in the ceiling purely for aesthetic reasons. 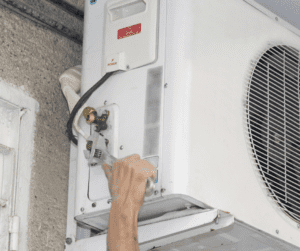 Just like with a regular HVAC system, it’s vital that you do everything you can to take the best care of your ductless heating and cooling unit so that it lasts as long as possible and operates efficiently. Going back to the filter, you’ll need to either change or wash the filter so that you can rest assured that any dust, allergens and other pollutants aren’t blowing through the air and irritating your allergies and respiratory system. How often you should perform maintenance on the filter depends on how often you use the system. All outdoor debris like leaves, branches, bushes, grass and the like should be kept away from your exterior unit so that it can “breathe.” Any bushes or other vegetation growing around your unit should be trimmed so that they’re at least two feet away from the unit. You should also take an occasional look at your refrigerant levels. If you ever spring a leak, your unit won’t work as efficiently. There’s also a chance that a thief may siphon your refrigerant, so consider installing a lock to keep this from happening. 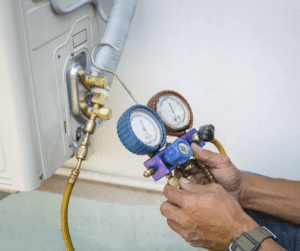 Besides these basic maintenance tips, it’s also best that you have a professional technician come out and inspect your system to ensure everything is at peak operational efficiency. Specifically, it’s good to have your unit looked at before the summer and winter seasons so you can you be sure you’ll be comfortable. Now that you know more about mini split units, maybe you’d like to learn HVAC technology so that you can take proper care of them while embarking on a career. If so, know that you can attend a Florida academy HVAC school to get started on your education. Reach out to us here at Florida Academy to learn more by filling out a contact form. You’re also free to call a representative at 239-489-2282.